What—if anything—could slow down the Mile High City’s white-hot housing market this year? 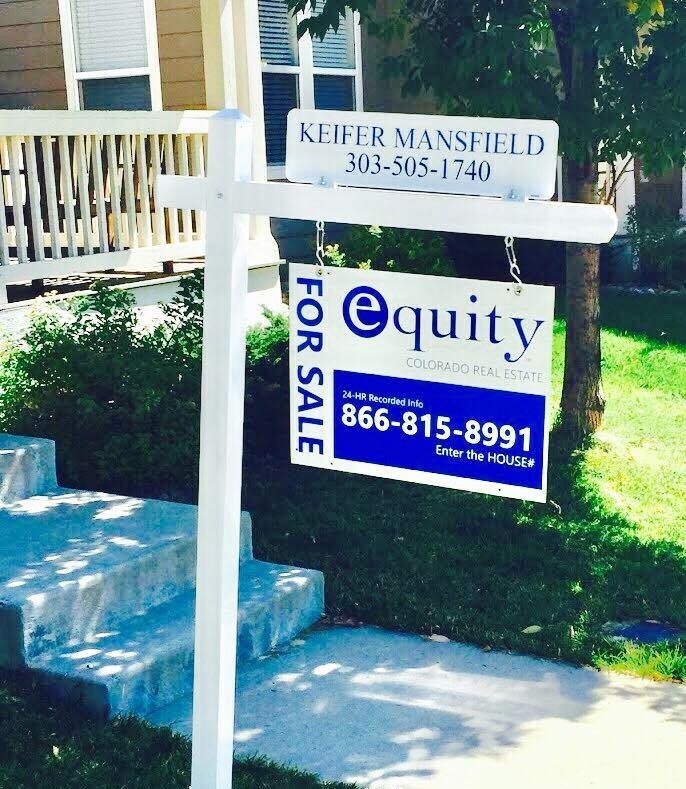 After experiencing double-digit appreciation across metro Denver’s housing market for three consecutive years, we can’t help but wonder: Can this possibly go on? Will 2017 be the year things finally start to calm down? Are we in a bubble? So we asked local real estate expert and former chairman for the Denver Metro Association of Realtors’ (DMAR) Market Trends committee Anthony Rael to gaze into the (admittedly cloudy) crystal ball and give us some predictions. Low inventory continues to push prices in every sector of the market, Rael notes. In December 2016, the average sale price for a single-family detached home was $434,421—a 5.21 percent increase from 2015—while attached condos averaged $308,212, up 11.39 percent from the previous year, according to DMAR. We ended 2016 with just over 4,000 homes on the market in the entire 11-county region, which is just not enough inventory to meet demand, Rael says. And he’s not expecting a slowdown anytime soon. In fact, Rael says the first change he’s noticed is a shift from seasonal buying to a 12-month buying season. “Things used to really get busy between March and August,” Rael, now a broker with RE/MAX Alliance, says. “This year we’ve already seen a busy January. I think we’ve transitioned to a 12-month buying cycle.” Given that push, Rael sees four areas that could affect the city’s housing story in the coming year. Without a doubt, interest rates are the key factor that could bring balance to our market, Rael says. Low inventory continues to push prices up for both condos and single-family homes, but should interest rates hit five percent, Rael thinks we would feel it in housing. “That’s the number I hear from the mortgage industry,” Rael says. “That’s what they see as the tipping point.” Increased interest rates tighten buyers’ spending power, and that could finally slow appreciation, which Rael believes is necessary. “It’s the third year in a row of solid, double-digit appreciation, and we simply can’t sustain that,” he says. The Federal Reserve Board has signaled its intention to adjust rates three times this year, but it remains to be seen when—and by how much—those rates will move. One of President Donald Trump’s first moves was an executive order removing a planned reduction in Federal Housing Authority (FHA) mortgage insurance rates. The move cancels a 0.25 percent decrease in the premium rate for FHA-backed loans to homeowners requiring mortgage insurance—that’s anyone putting less than 20 percent down on his or her home purchase. The FHA estimates that adjustment would have decreased mortgage payments by $500 annually on average. Even with this news in mind, though, Rael doesn’t see the new administration making a huge impact on local homebuyers. “People will still get married and have babies; people will get divorced,” Rael says. “Life happens regardless of what Congress does. People are making life decisions, and they aren’t waiting to see what President Trump does before they buy a house.” That said, actions from the new administration could impact the aforementioned interest rates. “From my perspective, it’s not a good thing to be the number one housing market in the country,” says Rael of the recent boom. “I’d rather be number one in job creation. What it means is there are a lot of first-time homebuyers who simply can’t get into the market right now. They are priced out.” New construction isn’t really putting a dent in the low inventory numbers, especially when it comes to starter homes, and Rael continues to see low inventory as a major issue in 2017. As millennials are priced out of the more urban areas, the neighborhoods surrounding light-rail routes are becoming highly desirable. “Millennials love Denver, and we are still a destination city for them,” Rael says. “If given the choice, they’re much more likely to ride the train than sit in traffic.” These younger buyers are also comfortable trying models like short-term rentals (such as Airbnb) to help them make their mortgage payments, and many of these outlying areas have more flexible rules for rentals.